Our priests are excited to introduce a new 7-month long parish formation programme that aims to build up our people and rejuvenate our faith! 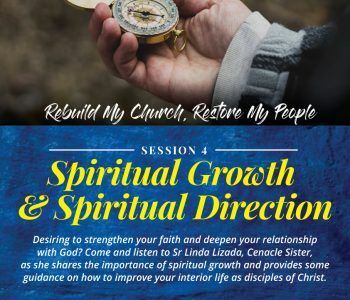 Aligned with our tagline “Disciples making Disciples”, the programme seeks to form and grow disciples after the heart of Jesus and to ready us for mission, with practical tools to disciple others! 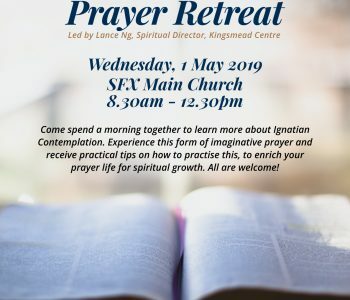 All parishioners are invited to attend this formation programme. 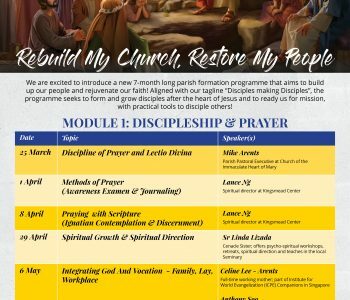 The first module on Discipleship & Prayer will kick off on Mon 25 Mar, 8 – 10pm at Parish Centre, Level 2. Grab your family and friends and sign up now, at tinyurl.com/DMDRCRP2019! To find out more, keep a lookout for the publicity poster on the formation programme. Come join us and sign up as a family or with your friends! 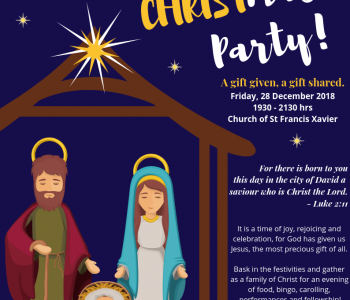 Come together and meet others from our parish to build and strengthen relationships with our parish community. 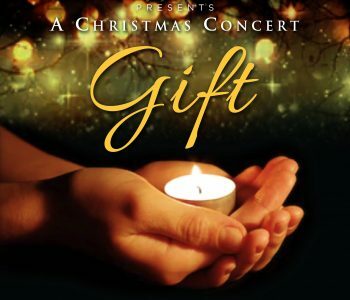 Registration is available at the front porch after each mass. 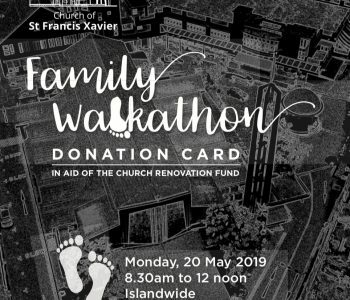 For more details, look out for the walkathon routes info sheets on notice boards at the front foyer of the Church. 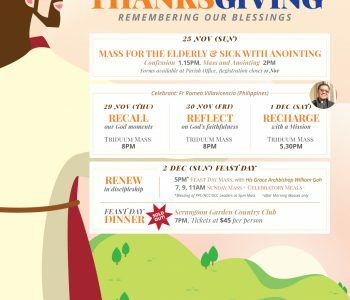 This year, we warmly invite all to join in the Triduum and Feast Day celebrations, anchored by the theme “THANKSGIVING”. It will be a series of topics on “Recall, Reflect, Recharge” that will be shared at each Triduum Mass by our guest celebrant from Philippines, Fr Romeo Villavicencio. Feast Day Mass on Sunday will commence at 5pm and will be celebrated by His Grace and conclude with a special blessing for our parish leaders. On Sunday, meals will be catered for the morning Masses as well.